Back in 2014, staff at St Mungos who were Unite members, took industrial action and went on strike in defence of pay and decent services for clients and won! The agreement that has been place in for the last five years and that has stopped the race to the bottom on pay that is widespread across the housing sector is now under attack. Management claims that the current agreement which caps the use of junior staff makes St Mungos uncompetitive. But Unite argues that this is completely false and states that during the five years in which the agreement has been in place contract income has more than doubled. The agreement also currently prevents management from restructuring teams to include ever increasing numbers of low paid staff. Unite believes that management have become increasingly heavy-handed in their approach to staff – there is an excessive use of discipline, with even St Mungo’s executive director Helen Giles admitting herself that the number of disciplinary cases is significantly higher than in the rest of the sector. In a breach of the union’s recognition agreement, management has stopped providing lists of staff to Unite, and have taken an antagonistic stance towards the union, threatening to ban Unite from central inductions should they say anything negative about the charity. 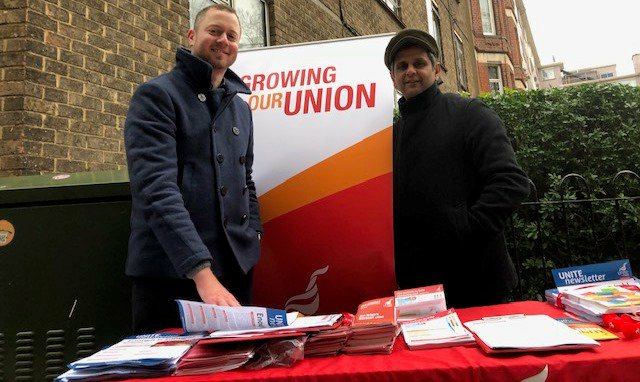 Unite regional officer Tabusam Ahmed confirmed that the union has begun the dispute process procedure because his members have had enough of management making it as difficult as possible for them to carry out their vital jobs. So far management have refused to listen to any of Unite’s concerns. For more on this story please see the news page of the London Housing Workers Branch here.